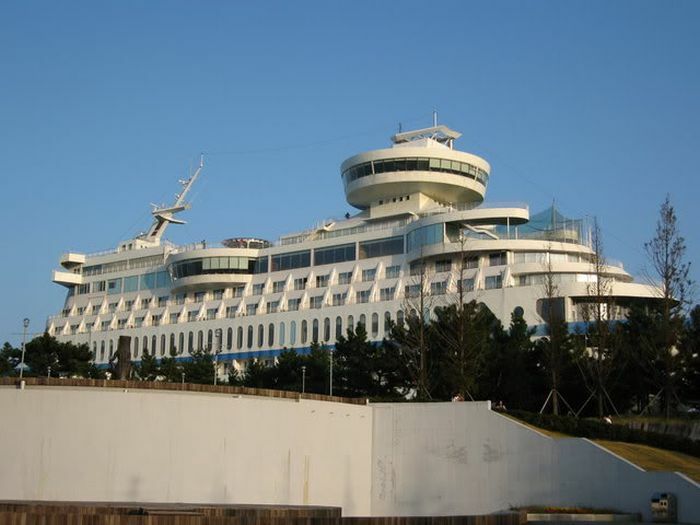 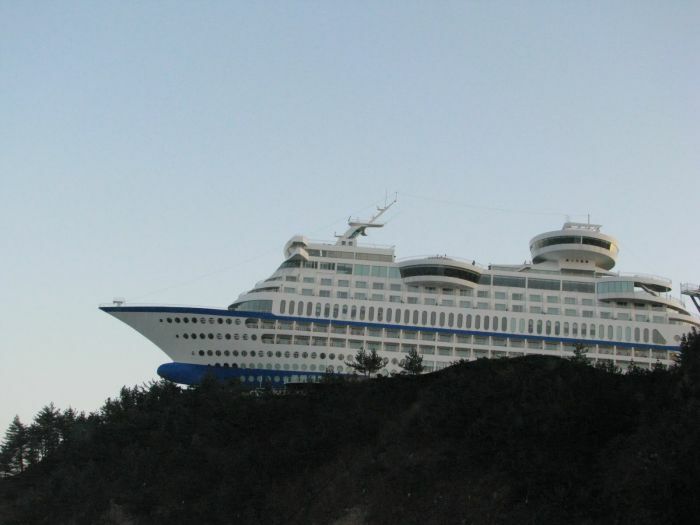 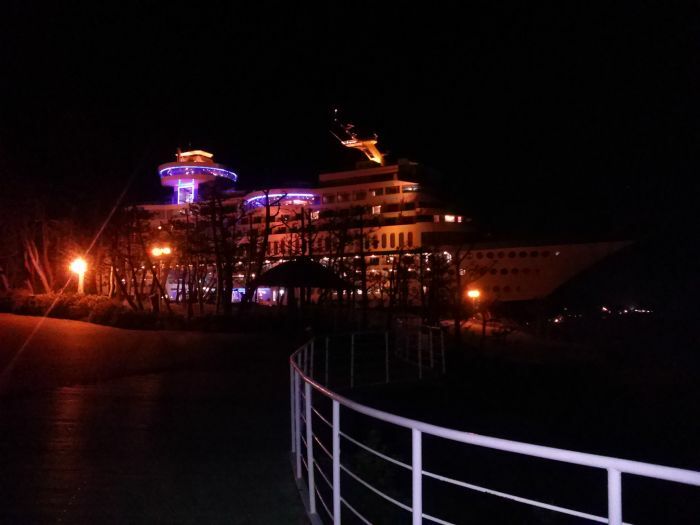 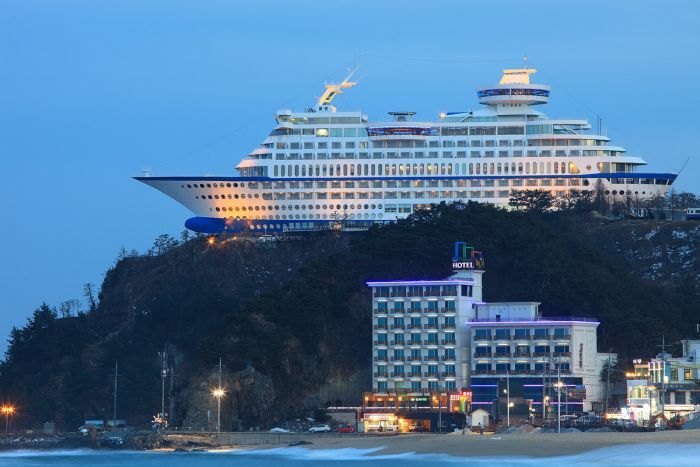 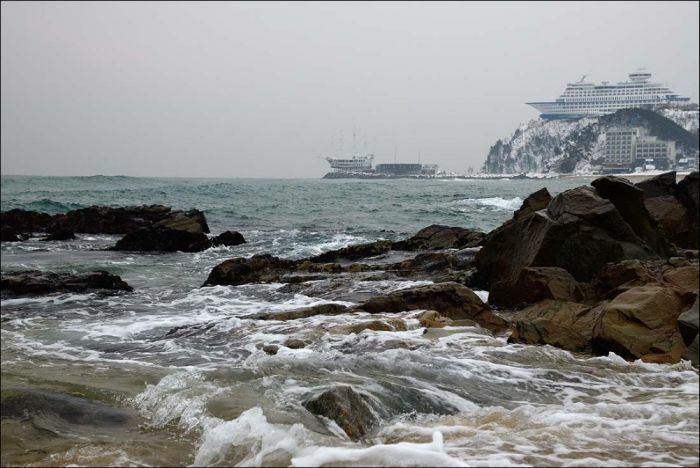 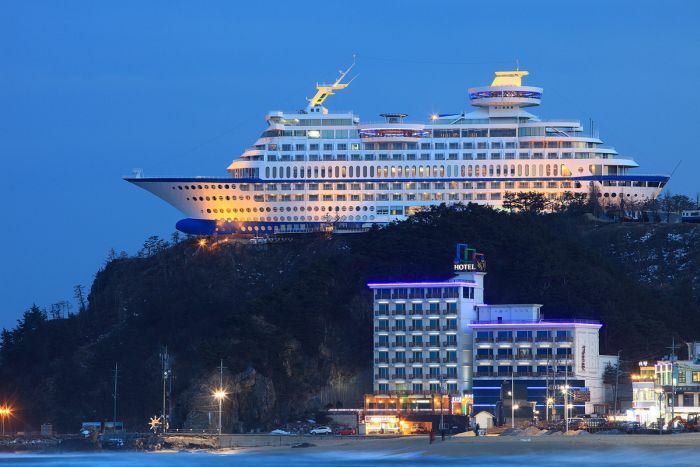 Sun Cruise Hotel is a beautiful hotel in South Korea that looks like a cruise ship stuck on the top of the rock. 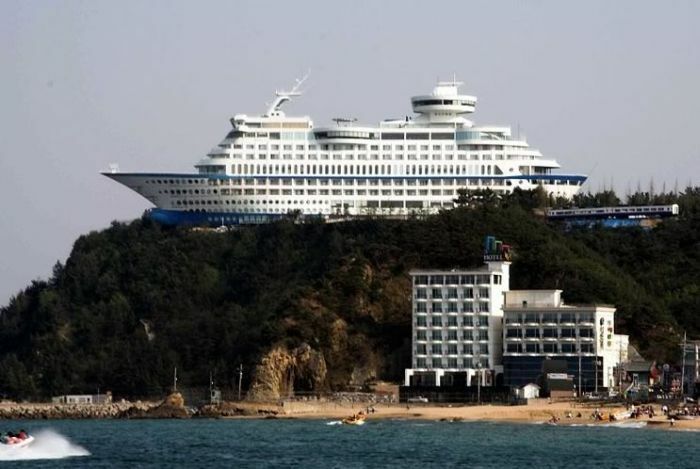 Why bother with the sailing? 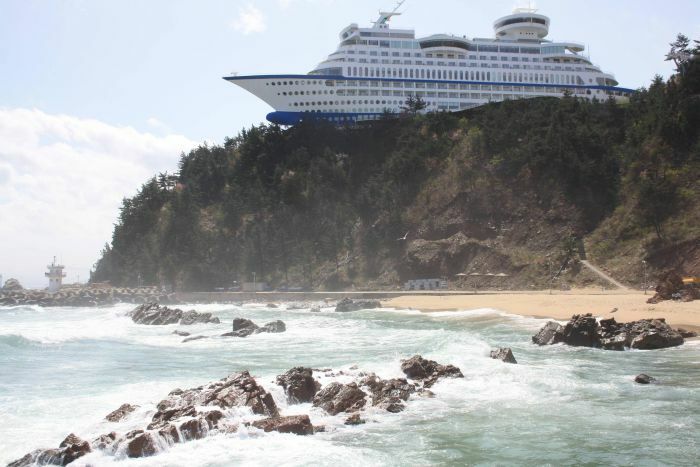 Cruise ships end up on rocks sooner or later. 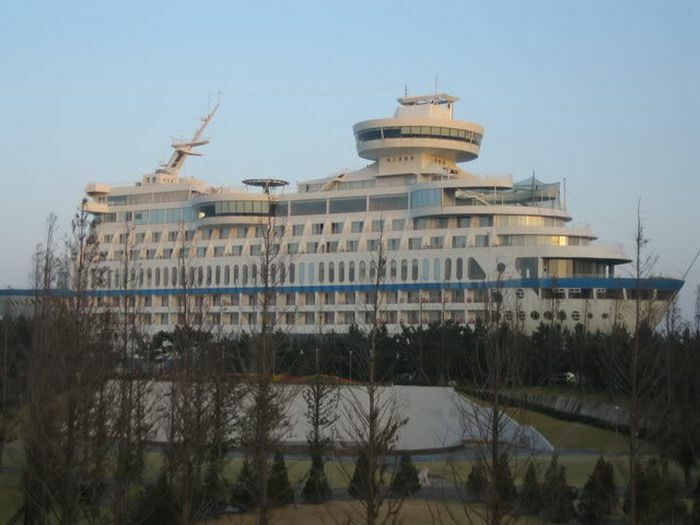 Better looking than the 'all square' monstrosities you see.